HomeBlogMove Over Black Friday, Hello White Wednesday’s Family Offers! Move over Black Friday, say hello to White Wednesday. For this week only, you can bag savings of up to an additional £500 off existing family ski offers. Offer ends at 4pm on Saturday 24th November 2018. White Wednesday offers apply to our chalets in all four of our resorts. Save up to an additional £500 in Les Bruyeres and Reberty 2000 (Three Valleys) or up to an additional £300 in Les Gets and La Plagne. The largest discounts offer families of four a week in a catered chalet in Les Gets from just £1,699 including Gatwick flights and transfers or a Eurotunnel FlexiPlus ticket. Flights from regional UK airports are available at a supplement. This offer applies to both Chalet Marjorie (Room 3) in Les Gets and Chalet Bacall (Room 2 and 3) in Les Gets. These offers can be found here. 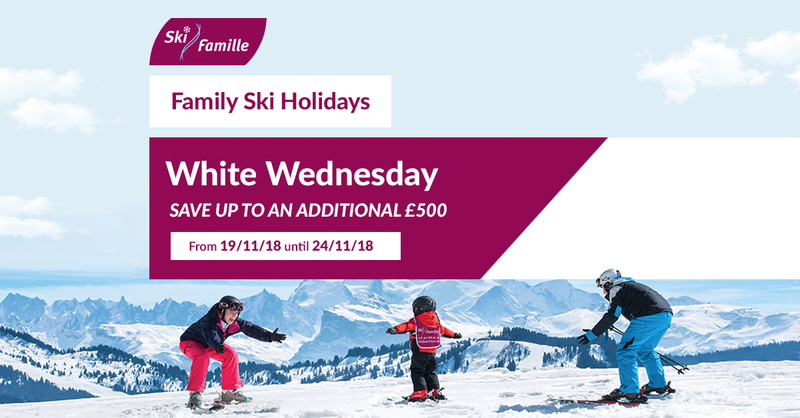 We are now down to our final remaining family ski offers during Christmas week as well as offers over the New Year – both included in our White Wednesday sale. All sixteen of our family focussed chalets offer our renowned in-chalet À La Carte Childcare service, ensuring both parents and children get the most from their precious holiday time. 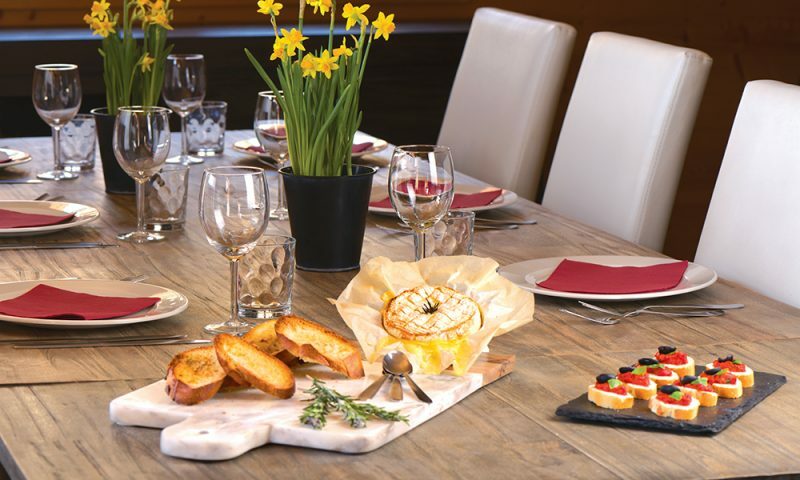 Packages include Gatwick to Geneva flights, airport transfers and cuisine options on 6 days of the week (breakfast, afternoon tea, children’s high tea, aperitif and canapés and a three course evening meal with wines). 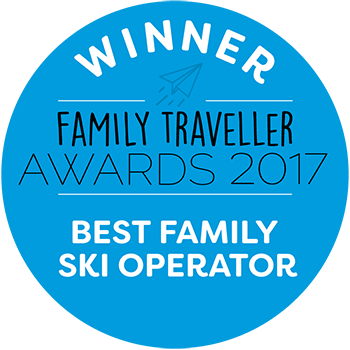 Ski Famille MD Chris Thompson commented, “This year, instead of spending your time trawling websites or being pushed and shoved on the high street, why not put your feet up, grab a cuppa or glass of wine and give us a call? We will create a family experience in the mountains that will be remembered long after a 50% saving on a massive telly!”.